A ketogenic diet is a strict diet . It is high in fat and low in carbohydrates and proteins. It keeps the body’s chemical balance in a state of ketosis. 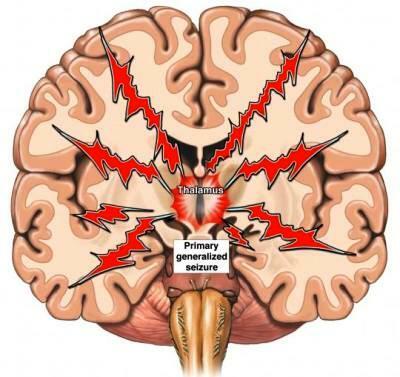 Ketosis decreases the frequency of seizures. Since children need proper nutrients, a dietitian will need to be involved. Epilepsy. American Association of Neurological Surgeons website. Available at: http://www.aans.org/Patient%20Information/Conditions%20and%20Treatments/Epilepsy.aspx. Accessed September 25, 2017. Growing up with epilepsy: seizure journal. Massachusetts General Hospital website. Available at: http://www.massgeneral.org/childhood-epilepsy/assets/pdf/seizure%5Fjournal.pdf. Accessed September 25, 2017. Living with epilepsy. Patient UK website. Available at: http://www.patient.co.uk/showdoc/23068986. Updated June 5, 2015. Accessed September 25, 2017. Seizures. Boston Children's Hospital. Available at: http://www.childrenshospital.org/health-topics/conditions/seizures. Updated 2010. Accessed September 25, 2017.